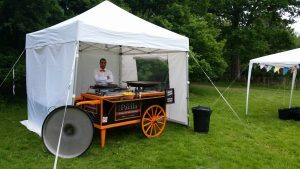 A Paella caterer that will bring everything needed to the location that you are holding your party and cook in front of the guests. That’s what service you will receive when you book Your Paella for your next party or special event. 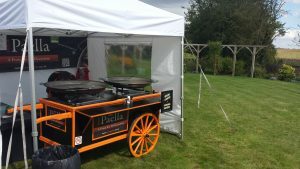 Paella catering is becoming very popular in the UK, but not all Paella caterers are the same! for example, you can go to one mechanic and get a poorer and more expensive service, when another mechanic can give you a much better service at a cheaper cost to you. The same can be said for a Paella caterer. Another example of this is Chinese food. In China the food is totally different to the Chinese food we can buy from our local take-away. In many cases Spanish Paella can have the same affect. I have tried many types of Paella while I lived in Spain and I found some of them to taste awful. I have also found the same thing here in the UK! 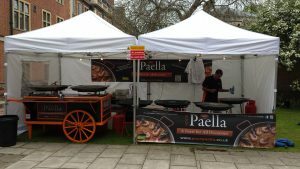 Some Paella caterer’s here in the UK have never even been to Spain and it really shows when you taste the food they are trying to pass over as Paella. Your Paella cook Paella to a British taste. Its still an authentic Spanish Paella but it has a delicious taste that most enjoy. We have spent a long time trying different recipes and having them taste tested. We know our recipe is right due to the very positive response we get when ever we cook and serve Your Paella. 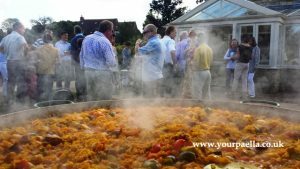 So how can you be sure the Paella caterer is the one to choose? Well a good place to start is with the Food Standards Agency. You can find their website here:- http://www.food.gov.uk/ Make sure that ANY caterer is registered with their local Food Standards Agency. Also check what food hygiene rating they have. The rating is from 1 to 5, 1 is the worst (other than not having a rating at all) and 5 is the best. Once you have checked the hygiene rating, then look for customer comments and reviews. A good place to find reviews are websites like Facebook and Yell.com. 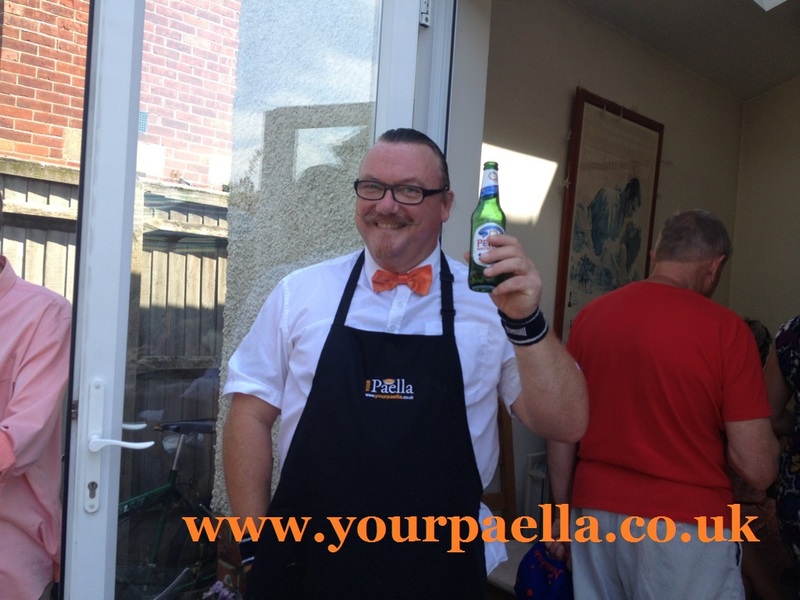 Now you can be sure of a first class Paella caterer that provides a first class service. Corporate catering service. Wedding Paella. Wedding caterer.